1 Bedroom Apartment To Rent in London for £3,033 per Calendar Month (Calculated). PREMIUM - SHORT LET Fabulous open plan studio/one bedroom property lovingly converted and refurbished to a very high standard. The property comprises open plan reception with double height ceilings and wooden floors to modern fully fitted kitchen, mezzanine bedroom level, high spec shower room with separate utility area. 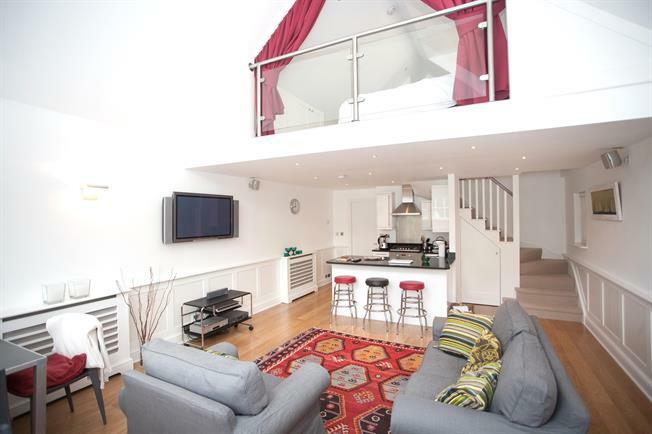 Fully Furnished to a high standard this property is perfect for a single person or a couple. Spencer Road offers free on road parking and is moments away from the Chiswick Main Line (routes to Waterloo) and local shops. In addition, the River is within walking distance and there are various buses which can take you to the Chiswick High Road.